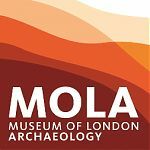 Owing to a probable increase in project workload in 2013, Museum of London Archaeology is seeking to expand its database of field staff available for fixed term contract work. MOLA requires field staff with a range of experience and skills, preferably with CSCS accreditation. All applications will be reviewed and successful candidates will be “pre-qualified” for employment start and added to the list of approved staff to contact as each new project becomes available. MOLA has a wealth of prestigious new projects with planned start dates through 2013 with high potential for exciting archaeology. Much of our work is in London and the South East but we are also interested to hear from candidates based in other regions who wish to qualify for future work in their own area. A job description can be downloaded here and application forms and contact details can be found here. MOLA is an IfA Registered Organisation.